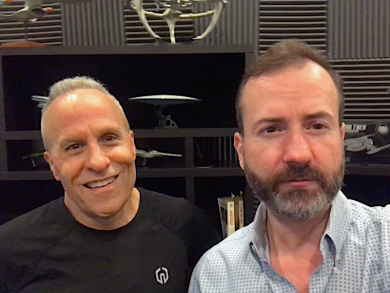 This week, Academy Award wining makeup artist and Star Trek journeyman Doug Drexler joins a group of people in the Roddenberry Nexus in Sansar to talk about his moves from makeup to art department to computer graphics to how he got started in makeup in the first place. Plus – what’s Doug into now? Here’s a hint: Its initials are V.R. Doug Drexler’s virtual meet up in the Nexus makes a very special Supplemental Mission Log.